It slipped my mind…sort of…well, more so than ever before. Today is the day that Diabetes turns 17 years old in our house. Strangely, it hasn’t consumed all of my thoughts this month. I haven’t planned this post for weeks in advance…in fact I actually had another post planned for this week when I realized the date! 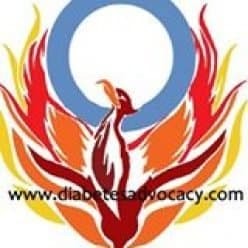 Every March I think of two things…what will I get my oldest son for his birthday and how long diabetes has been a part of my youngest son’s life. This March has been a bit different. I was busy this March with other things. For the first few days of the month, I got to spend time with my nephews after not seeing them for a few years. I was able to meet my youngest nephew for the very first time. We enjoyed cuddles and goofing around. It wasn’t until I was home that I thought about his little life and the life of his older cousin–my youngest son. When my son was his age, he was being stabbed with a needle somewhere in his body 5+ times per day. At the age of 3, his little fingers had tiny marks from testing his blood glucose levels 8 or more times per day. My sweet little nephew had bruises on his knees from playing outside with his trucks. When my son was that age, he had similar bruises but there were also bruises that would sometimes find his arms, legs or stomach after an injection. I am so glad that none of my nephews have had to go through this. I remain in awe of how well my son has managed to cope. He won’t even notice this day. Life with diabetes is all that he has ever known. For him, it is simply St. Patrick’s Day–an excuse to go out with his friends and have a beer. Today I will pause as I always do. Most likely I will message a dear friend whose son shares this “dia-versary”. On this day, I will be extra grateful for the many incredible and lasting friendships that diabetes has brought into my life. I will also take a moment to cry for the friend who lost her child last year–we were brought together because of our sons’ common diagnosis of type 1 diabetes. Today I am sure that I will slip back in time for a moment. There will be a pause in my day when I vividly recall the lifeless child that I held in my arms 17 years ago. I will remember the prayers that I said and the prayers that were offered as we rushed to the hospital. At one point today I will see, in my mind’s eye, the doctor who sent my son to ICU and told me, “if he makes it through the next 24 hours, you will need to learn a lot about diabetes.” The phone calls, the terror, the uncertainty will all come flooding back just like it was yesterday. Today I will quietly cry for the life that was lost but I then I will wipe away the tears. As I tell others, today is about celebrating. Today marks 17 years that my son has lived strongly with type 1 diabetes. He has never let it stop him from doing anything–except for shoveling the driveway in the winter. He seemed to often be conveniently low as a child during that particular chore. My son now manages his diabetes his way. I don’t test him. Rarely do I know what his blood sugar levels look like. I can’t tell you his insulin to carbohydrate ratio or even his basal rates. Diabetes is his disease to handle now. It hasn’t all been perfect. There have been stumbles along the way. I still remain there to help when asked. We discuss carb counts or extended boluses. I still do site changes when required. Seventeen years later, we are both finding our way but he is healthy and thriving. I can ask for nothing more…except a cure of course. You always get the neatest things! I recently received my “Peace Love Insulin” window clings. I was so excited to receive them that I actually opened them in the car on my way home. As I sat there, I wondered if I could put them on my car window right then. The instructions said that I need a clean window, so I figured that I should wait until I was home and had a chance to make sure the surface was perfect. When I got home, I immediately took a picture of my clings and shared them on Facebook and Instagram. I wanted my friends who had created and mailed them to me to know that I had received them…Okay they were actually just too cute not to share! After posting the image, another friend quickly commented, “you always get the neatest things!” I realized that it is so true! I am blessed to have met so many incredible people on this journey with diabetes. I have made connections all over the world. These fabulous people have shared things with us over the years and brightened my day with the smallest of gestures. That remains the most special part of this crazy life. I have shared away of the diabetes shoelaces but if you would like to get “Peace Love Insulin” window clings, I can still set you up!! Contact my incredibly talented friends over at the Diabetes Scholars Foundation. They have an Etsy page set up to take your order and send you out your very own clings. You can stick them on your car, on your computer, wherever your heart desires! Your money will go towards the incredible work done by the Diabetes Scholars and you will be the coolest person in town! Posted on December 10, 2015 December 10, 2015 Categories UncategorizedTags children with diabetes, diabetes awareness, diabetes clings, diabetes fundraisers, Diabetes Scholars, diabetes scholars foundation, diabetes window clings, Love Peace Insulin, window clingsLeave a comment on You always get the neatest things!